ACT Heating & Cooling Inc. carries the PaceSetter product line simply because we believe in the quality of PaceSetter products. All PaceSetter products are constructed with exceptional materials, engineering, and workmanship. PaceSetter products are championed by some of the strongest warranties in the industry. ACT PaceSetter products carry a warranty of 10 years parts and labor. 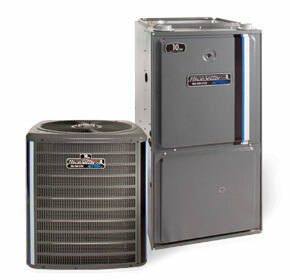 ACT Heating & Cooling has always focused on providing excellent service to our customers. We provide top-quality repairs, maintenance, tune-ups, and other heating, cooling, and air quality services for your home. Valid through April 30th, 2019. Does not include diagnostic fee. 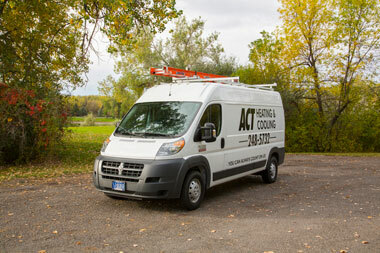 ACT Heating & Cooling Inc. has been in business in Billings since 1992. We specialize in residential equipment replacement and service. Our reputation speaks for itself. More than 24,500 current residential clients put their trust in us to replace or service their heating and cooling systems. Learn more about ACT Heating & Cooling Inc. Your crew was efficient and courteous and answered all my questions. You have an amazing work force top to bottom. My new furnace works better than I had expected. My wife mentioned the first night that our house is finally a consistent temperature upstairs and down.